Thursday, August 08th, 2013 | Author: Bunco Betty! One of our fans, Christina, is celebrating a fellow Bunco players 91st birthday with a Birthday Bunco Bash this month. She would like to serve finger foods and needs some ideas. Well, I have some tried and true favorites for you from the free download of the Bunko Junkie Appetizer cookbook available here. There are 150 awesome appetizer recipes in this FREE download from Bunco Game Shop, so download your copy today! Baby Porcupine Appetizers are spicy bite sized meatballs that everyone loves. They are easy to make and the perfect bite sized Bunco snack. These meatballs would look so festive with these adorable dice party picks from the Bunco Game Shop. 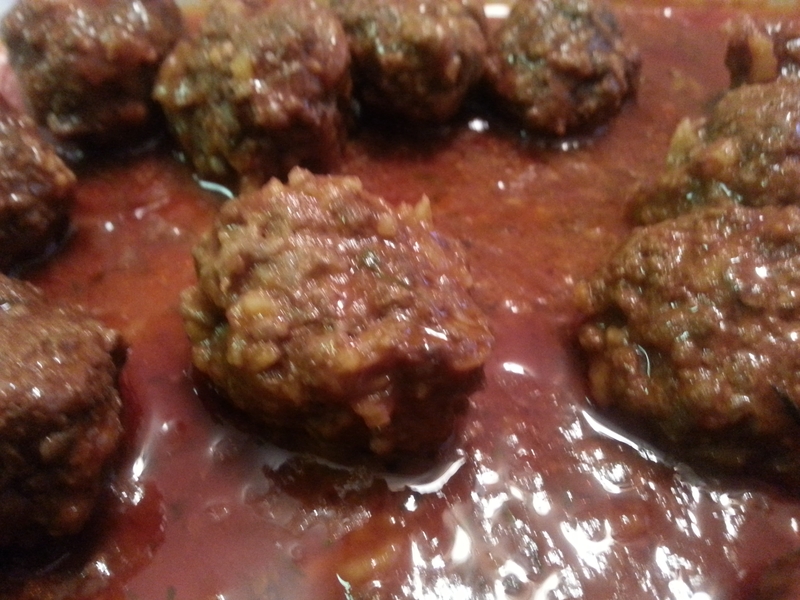 Combine rice, ground meat, onion, green pepper, salt, celery salt and garlic; form into balls about 1-1/2 inches in diameter. Heat tomato juice, cloves, oregano and Worcestershire sauce in skillet. 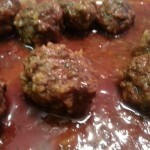 Add meatballs. Cover tightly and simmer for 50 minutes. Remove cloves before serving. Another popular finger food is chicken wings. 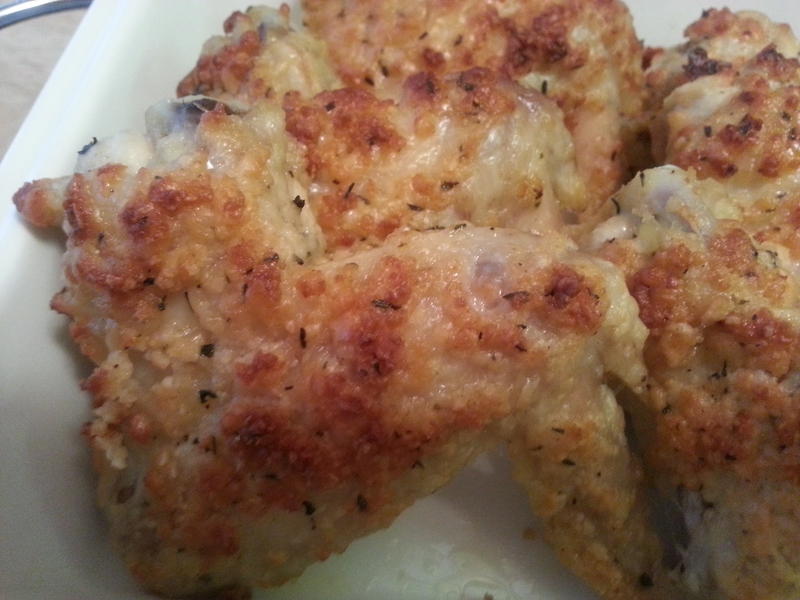 These Parmesan Chicken Wings are easy to make, baked not fried and delicious! Bunco guests will love them! Preheat oven to 375 deg. Mix cheese,parsley,oregano, salt and pepper together and place on a dry tray. 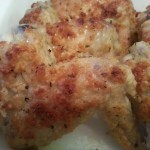 Dip each piece of chicken into the butter,then roll in the cheese mixture,coating well. Place on a greased baking sheet. Bake for 45 minutes,turning when brown. Wings will freeze well. Thaw in refrigerator,and heat in a 375 deg. oven. 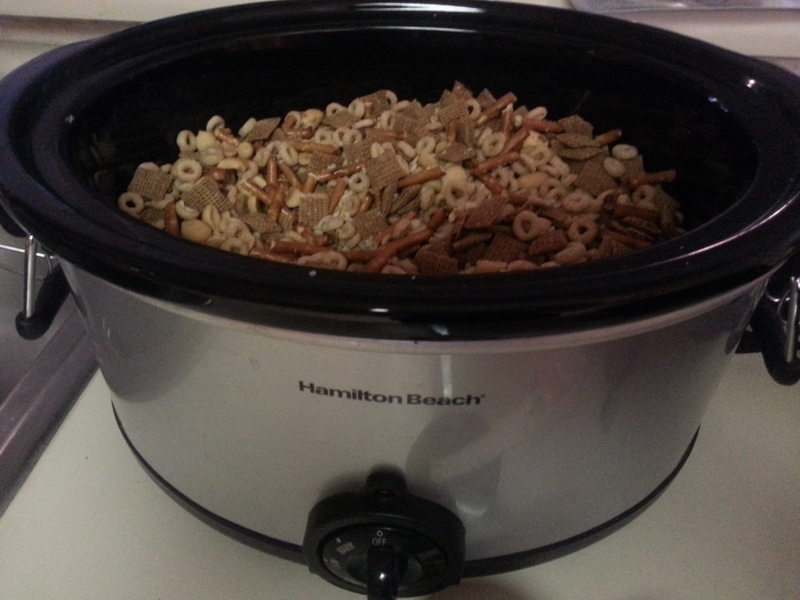 Makes 4 main course or 8 appetizer servings. Please share if you try any of these recipes and let us know how they turned out. If you have a finger food recipe that you love, please post the recipe and/or a picture. 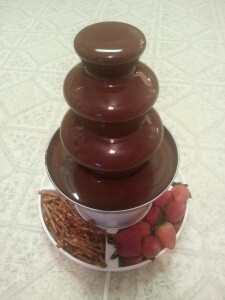 I made all of these recipes today and they turned out wonderful! 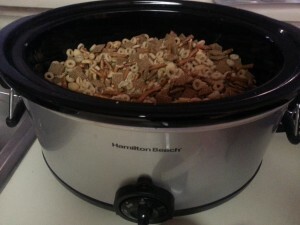 The kids loved the Bunko Snack mix after school today! It was a fun surprise! Are you playing Bunco soon? If so, let us know about it! There are so many fun products here at BuncoGameShop.com. My group loves the foam dice for roll offs when there is a tie for Most Buncos, Most Wins, etc. We are having a South Beach themed Bunco this weekend. The funny thing is that we live in the desert! I will post pictures next week.